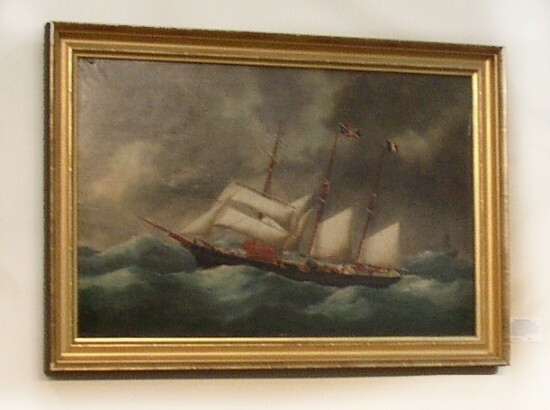 Colorful, well presented 19th C portrait of the ship “Mireille” under sail on a stormy sea by Eduart Adam (1847-1929). Signed lower left “Adam fec ’99”. Oil on canvas, 22.5″ x 35″. Some well done restoration in the sky, away from the ship. Professionally relined.